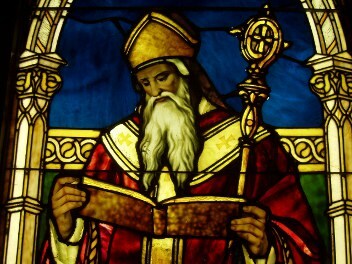 Why should you care about St. Augustine, Bishop of Hippo, born in the 4th century and dead in the 5th? What can a dead white guy from ancient Africa have to teach you today? After all, you and I live in the age of the Internet. The age of YouTube and The Office. You can Google John 3:16 in approximately 4.2 seconds, so why do you need to read Augustine’s reflections on that verse? I’ll reveal my hand right here at the beginning: I treasure Augustine’s writings. I first picked them up when I was eighteen, and I later studied them in college. Last month I reread his famous Confessions, and I benefited anew from Augustine’s wisdom. With that personal confession, I’ll give you at least two reasons I think you should know about Augustine. Why Should You Care About Augustine? For that reason, I highly recommend that you read books written before your time. Recommend that you read old books. Books by dead authors. Reading old books, particularly books on Christianity, will safeguard you against falling into error. It will ground you in historic Christianity, and it will remind you of what the Church has always held to be true. Second, I recommend Augustine in particular, because of how beautifully he combines brilliant, intellectual theology with deeply heartfelt, emotional love for Christ. Modern Christianity tends to slide off into one of those two extremes: seeking ever-fresh outpourings of the Holy Spirit, manifested in exuberant emotion, or pursuing pure, undefiled, brainy systematic theologies with no connection to life. Augustine stands as our proof that Christians can have both: they can love Christ passionately while knowing him rightly. You probably know Augustine’s name, but here’s what you may not know about him. Augustine was born to a believing mother and a pagan father. In Confessions, Augustine recalls that his mother spent every day in tearful prayer, begging that God would save her husband and her son. Augustine deeply adored his mother, and he praises her for her faith and love. He writes that she endured abuse, drunkenness, and infidelity from her husband, all the while respectfully submitting to him and praying for his salvation. In the end, God did save her husband, and their marriage was redeemed. For more than thirty years, Augustine lived as an unbeliever, scorning his mother’s faith. He lived life to the hilt, tasting pleasure and seeking wisdom. Augustine excelled at rhetoric and grammar, because he loved the attention he received from public speaking. In short, Augustine was a man of the world–he pursued pleasure wherever it could be found. But God was not content to let him go. God heard the prayers of Augustine’s mother, and He would not let Augustine go. At some point, the world lost its luster, and he saw it for what it was. “I could not find relief,” he confessed, “in quiet forests, nor in loud games and music, nor in fragrant spots, nor in parties, nor in sexual pleasures, nor even in books and poetry.” As he put it later, “You [God] melt the defenses erected aginst You by a glance from Your will. … Nothing can escape Your heat.” God broke down Augustine’s defenses and swept in with new life. Immediately, without looking back, Augustine gave up his sensuous pursuit of pleasure and turned to God. He sold everything he owned, gave the money to the poor, and opened a monastic community in northern Africa. Within four years of conversion, Augustine became a priest, and within four more years he was named bishop of Hippo, in what is today called Algeria. He held that position for more than thirty years, until his death. Happy is the one who loves You. He looks to You for friendship. He makes enemies only to protect Your honor. The one fixed in You sees his earthly loves as beloved in You. You alone cannot be lost; You only are certain. Our God are You who made heaven and earth. You fill them with works of Your creation. – Confessions, page 59 (Modern English Version, Baker Book House: 2005). Augustine spent thirteen years writing City of God, where he creates the idea now known as “Two Kingdoms” theology. Augustine explains that Christ’s kingly rule places Him over all creation, but it is not fully manifest yet. While on this earth, we are all citizens of two kingdoms: one heavenly and the other earthly. So our attitude toward life should not be an anxious grasping, in the words of one historian. Instead, it should be an attitude of relaxed playfulness, knowing that our eternal fate is secure in Christ. In lesser known works, Augustine covers a wide range of topics. On the Trinity is arguably his deepest book, in which Augustine became the first theologian to attempt a comprehensive explanation of the Trinity. Many sermons have also survived, where we can read Augustine’s words as a preacher. Finally, Augustine wrote a number of apologetic works, in which he dismantles a variety of heretical views threatening the Church. I started by highly praising Augustine’s writing, and I want to echo that sentiment here. I encourage you to make a point of reading at least one of his books before this year ends. With that said, I will issue a word of caution: Augustine wrote in an age far different from ours, and his words can be difficult to understand. If you have experience reading philosophy or ancient texts, fear not; but for the rest of us, Augustine–even translated into modern English–can be a difficult author to understand. For that reason, I recommend picking up a modern English version of Augustine’s Confessions. This particular translation makes Augustine much easier to understand while retaining his beautiful style. American readers can pick up a copy of Augustine’s Confessions at Amazon (as I’m writing this it’s selling for only $5.99). British readers can get it for Kindle or in paperback at Amazon (currently £3.11 for Kindle, and £9.99 for paperback). You awake in us a delight at praising You. You made us for Yourself, and our heart is restless until it finds its place of rest in You. Josh is a twenty-something American, married to a wonderful wife and just finished with law school. This fall, Lord willing, he will begin work as an attorney. When not working or studying, Josh enjoys spending time with his wife, reading, and writing. At his blog, Quieted Waters, Josh writes to help young Christians meditate on how to honor God in their faith, their jobs, and their marriages. Tired of writing in third person, let me just say that I would love to hear from you! You can stop by Quieted Waters and say hello or find me on Twitter at @QuietedWaters or on Facebook. 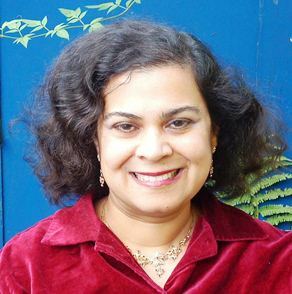 Finally, thank you Anita for the privilege of writing this guest post. Best wishes!